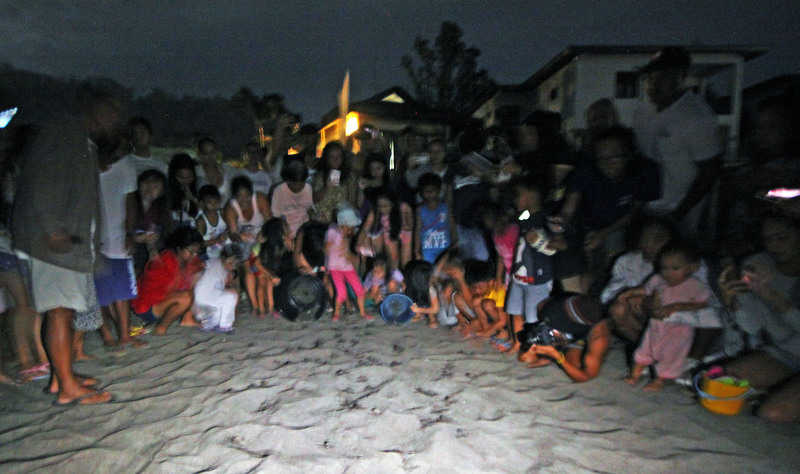 San Juan, La Union (December 24, 2018) – Tourists, conservationists and residents gathered Saturday evening infront of the posh Kahuna Beach Resort in Urbiztondo here not to party. 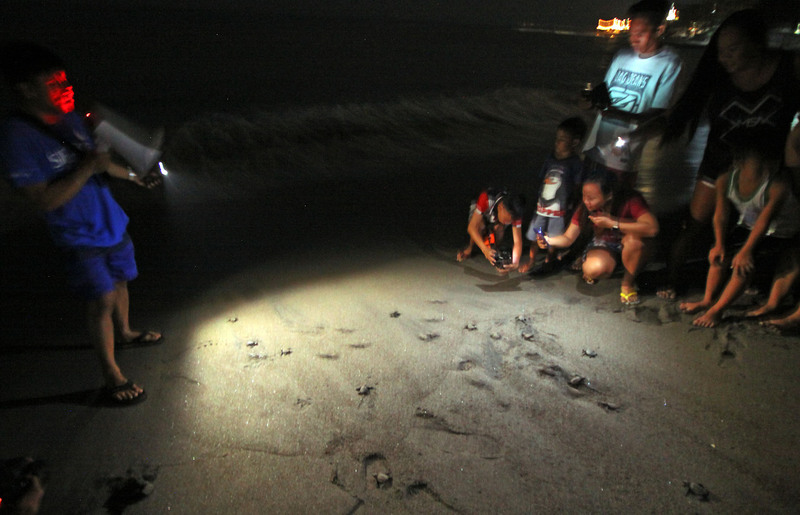 But to release more than 8 dozens (96) Olive Ridley turtle hatchlings to the sea minutes after they hatched from a temporary hatchery of the conservation group CURMA here. Wiggling slowly towards the waters, the turtle hatchlings virtually were “our Christmas gift” to nature. 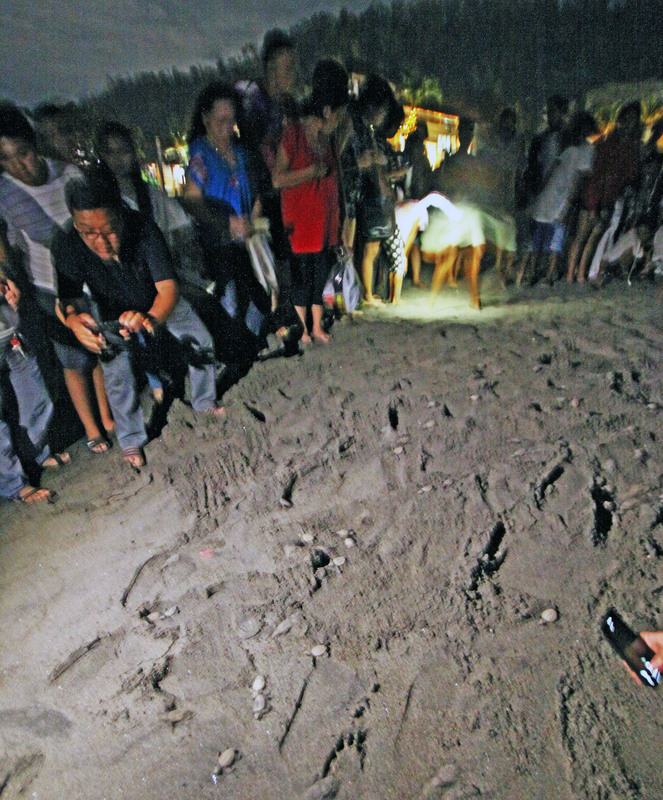 Laid infront of Kahuna Resort on broad daylight during La Union’s phenomenal November tourism pitch— “Surf Break” on October 28, dubbed as “a VIP (Very Important Pawikan) visit”, the eggs were carefully moved to CURMA’s hatchery in Ili Norte barangay to stay for 60 days until they hatch. Project CURMA (Coastal Underwater Resource Management Actions) is a pawikan conservation and protection program supported by the Science of Identity Foundation (SIF-CARE). Sea turtles like olive ridleys only lay their eggs where they were hatched. The VIP might have been hatched in Urbiztondo some 25 years ago. 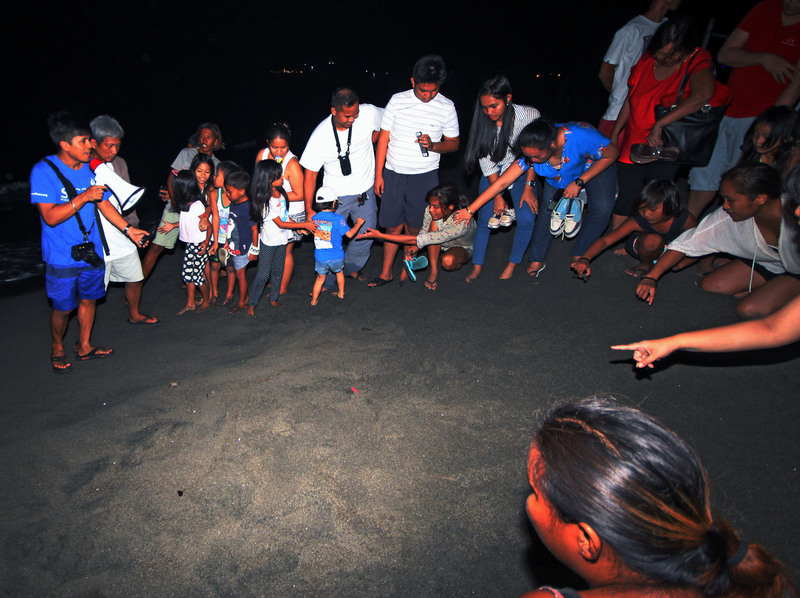 On that Sunday afternoon, the usually noise and light-shy mother pawikan slowly approached the sand, the same grounds where hundreds of mother olive ridleys have been hatching, before sunset witnessed by a delighted “La Union Surf Break” crowd treated with the rare natural spectacle, said Carlos Tamayo, coordinator of CURMA. There are at least 12 more olive ridley nests at the CURMA nursery, and soon be released in the coming months, said Tamayo. Sea turtles, especially green sea turtles, are one of very few creatures (manatees are another) that eat sea grass. Sea grass needs to be constantly cut short to help it grow across the sea floor. Sea turtle grazing helps maintain the health of the sea grass beds. Sea grass beds provide breeding and developmental grounds for numerous marine animals. Without sea grass beds, many marine species humans harvest would be lost, as would the lower levels of the food chain. The reactions could result in many more marine species eventually becoming endangered or extinct. Only sea turtles feed on jellyfish. If they become extinct, the deadly jelly fishes will multiply exponentially, according to CURMA. The bustling tourism in the San Juan is though challenging the nesting ground of the olive turtles, CURMA warned. Recently, an establishment began to build structures right where the nesting ground is in Urbiztondo. But not without conservationists, including CURMA raising questions that prompted the environment department to shut down the planned restaurant. “We are transient caretakers of the Earth and should act responsibly towards all living beings and Mother Earth herself,” Tamayo pointed out. 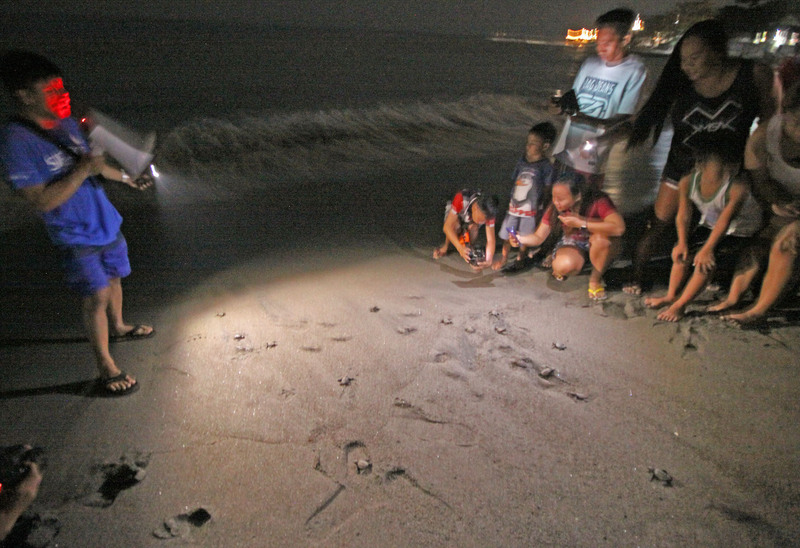 Together we must stand to protect our beaches and environment so that those living beings (like the pawikan) will still have their homes, he explained. Two years ago, a huge international hotel chain planned to build along the nesting ground but CURMA with the San Juan local government negotiated with the developer to do structural considerations not to build too close to the nesting site.